Every child out there has got at least one or two teddy bears, because who can resist loving these little cuddly toys. But have you ever wondered what these little stuffed toys are up to when the kids are not home? 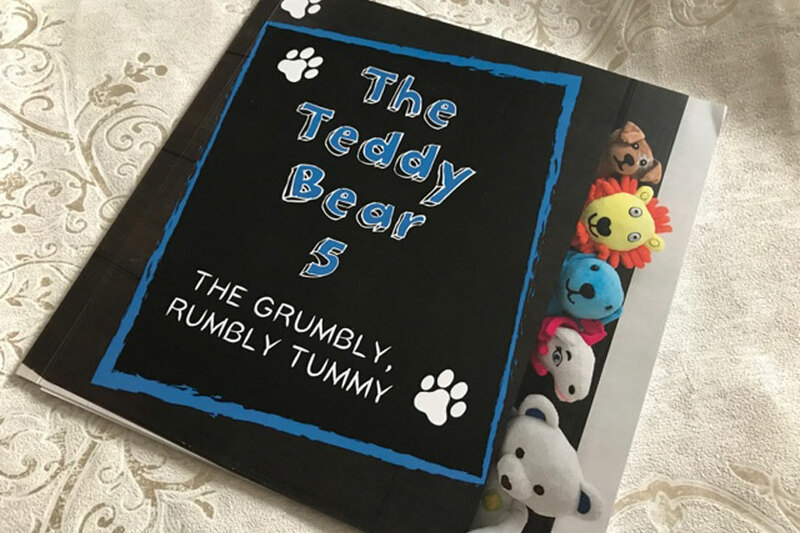 That’s how author V.F Gallagher captures the little ones imagination in her children’s book ‘The Teddy Bear 5: The Grumbly, Rumbly Tummy.’ Where she tells the story of 5 little adorable teddy bears who come to life when the kids leave for school in the morning. The 5 little buddies are: Leo the Lion, Blue Rabbit, Smartie, Doggy and Marshall Bear. Each with their own characteristics, which is perfect for each child to pick their favourite character. This book might seem pretty simply at a glance, but if you flip through the 26 pages, you’ll find that there’s much more than that to it. As this book teaches some great manners and ideas, such as: kindness, looking after one another, problem solving, and maybe most importantly, team work. We also loved the pictures in this book, as the toys depicted were very basic and pretty similar to what any kid could actually own. Which makes it easier for the little ones to feel related to these characters. Parents could also interact with their children reading this story, as they can ask them what would they do as a character, how would they help and react, which would get them to think outside the box and work their imaginations as well. This book is definitely one to own, and it will definitely change the way your kid look at and treat their stuffed toys. Or, if you live in Dubai, and interested in getting your own copy of ‘The Teddy Bear 5’ all you have to do is enter your data below, and you can WIN yours.